Slat rubber has become increasingly popular in some past years. They offer many advantages and that’s why they are replacing traditional forms of flooring. 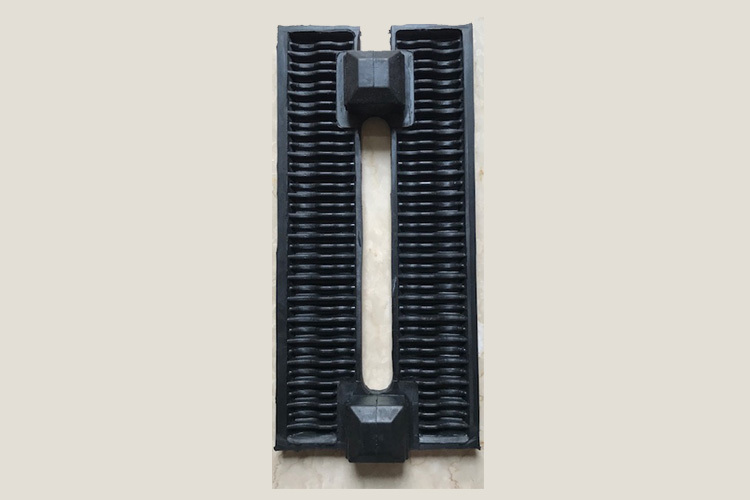 Whether you want to make your dairy plant cleaner or want to promote better health in your animals, these slat rubber are a great way to do that. Kapoor Oil Mills is one of the highly dependable Slat Rubber Manufacturers In India. Our matting solutions have helped countless farmers and dairy owners in increasing their output by a huge margin. Once you install them, you will notice dramatic improvements in the hygiene and comfort level of your facility. Reduction In Health Issues - Our slat mat will help you in reducing the health issues of your cattle from lameness to swelling. Firmly Fixed - These mats stay where you install them. Their grip on concrete slat is very strong. Improved Milk Yield - Comfortable and healthy animals produce more milk and increase your profits ultimately. It provides non-slip & comfortable surface for cattle’s. It prevents stiffness, lameness & swelling in joints which the concrete flooring leads to. Reduces ammonia by up to 50%. Urine from the animals is speedily dispatched to the tank below keeping the animals drier & cleaner. Very easy to clean therefore good hygiene levels are maintained. Facilitates faster run-off & cleaner cattle. Provides animal with safe & confident walking & lying surface, also supports claw health. Mats are customized to suit all sizes of slat so selection of mats to suit the slat is very important. All the notching & cutting is done during the production process only. Each mat is fitted to suit the individual slats to ensure that the mat stays in place. The mats fit snugly over the slat & will not distort so that the gap between the slats is maintained. The mat promotes a healthy feeding cycle. Durable & improves calves welfare & hygiene. High milk Yield & Improves animal welfare over all. Our name is taken among the leading Cattle Slat Rubber Exporters and Suppliers In India. Our products are trusted by many people across the country. Call now to know more.